Russia’s Proton-M heavy-lift workhorse arced into cloudy skies over the Baikonur Cosmodrome on Thursday, starting an all-day ascent mission to deliver the Intelsat 31 satellite to a highly elliptical orbit around Earth. 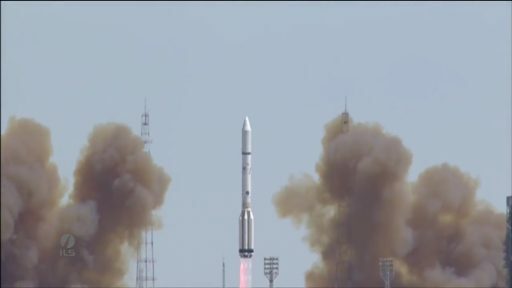 Making its third launch of the year and 412th overall, Proton-M lifted off from Site 81/24 at 7:10 UTC and departed the Cosmodrome to the north-east, taking the standard route to Geostationary Transfer Orbit. 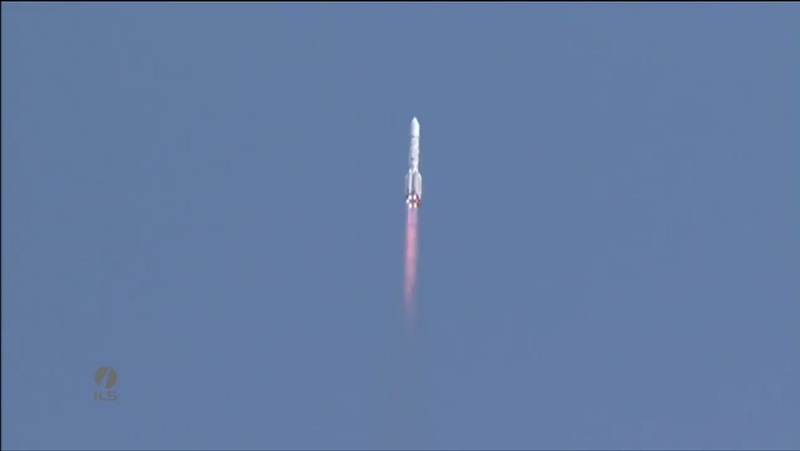 Firing its three stages, Proton did the heavy lifting in just under ten minutes to send the Briz-M upper stage and Intelsat 31 spacecraft into a sub-orbital trajectory. Separating from the Proton booster, the Briz-M embarked on a very long flight to send the satellite into a Supersynchronous Transfer Orbit peaking at 65,000 Kilometers in altitude. To accomplish its high-energy delivery, Briz-M has to complete five burns of its main engine with lengthy coast phases in between to methodically raise the orbit. Spacecraft separation is expected 15 hours and 31 hours after liftoff, 22:41 UTC. Intelsat 31 was built by Space Systems Loral based on the high-power configuration of the flight-proven LS-1300 satellite platform. The satellite stands 8.64 meters tall, just ten centimeters short of the maximum height possible in SS/L’s facilities. It has a separated mass of 6,450 Kilograms, outfitted with 72 Ku-Band and 4 C-Band transponders. The Ku-Band payload is operated by DirecTV Latin America and therefore referred to as DLA-2, delivering direct-to-home television services in tandem with the Intelsat 30 (DLA-1) satellite launched in 2014, co-located at 95°W in Geostationary Orbit. Also aboard the satellite are four C-Band transponders for operation by Intelsat to expand services across the entire American continent. 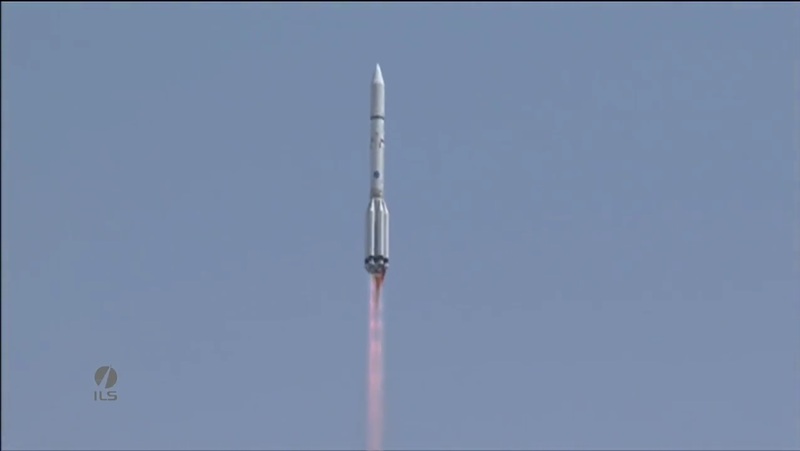 To be able to boost the heavy Intelsat 31 spacecraft to a Supersynchronous Transfer Orbit, Proton-M flew in its Phase IV configuration with enhanced performance characteristics, mainly due to mass reduction on the three-stage Proton and Briz-M upper stage. 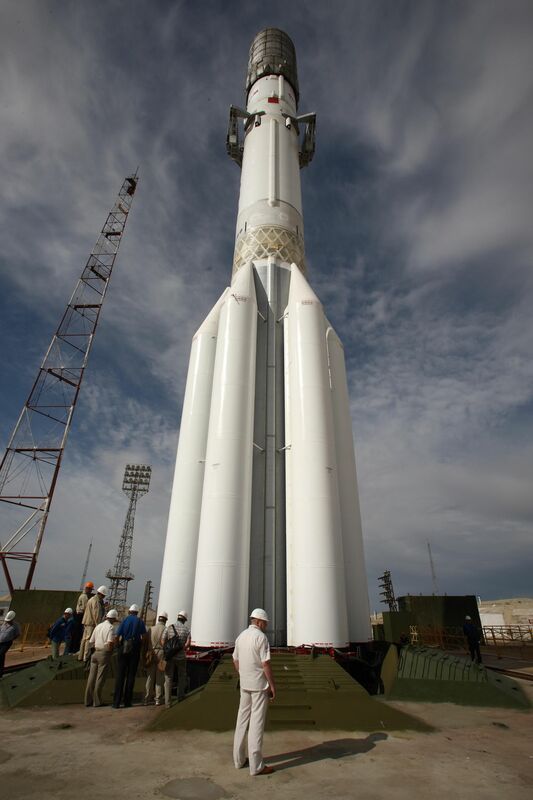 The stepwise evolution of the Proton-M launch vehicle was initiated in 2001 when the vehicle first flew in a modified version with greater payload capability. Phase I improvements were implemented by 2004 followed by Phase II in 2007 and Phase III in 2009 in an effort to keep Proton in a competitive position on the commercial launch market. The different versions of the Proton were flown in parallel until 2015, chosen based on payload requirements. The stepwise improvements included the introduction of modified first stage engines operating at higher chamber pressures, reduced tank wall diameters for weight reduction, as well as improvements to the interstage structures and avionics to further reduce the mass of the Proton. The Phase IV Proton uses a composite second stage forward bay, new five-axis milling techniques to reduce tolerances on the second stage and decrease the overall mass of the launcher. The third stage switched the metal alloy from which its tanks are manufactured and also features a composite instrument bay. Modifications of the Briz-M include weight reduction on the Telemetry System and an improved composite overwrapped pressure vessel tank design in the high-pressure section of the propulsion system. The Phase IV payload fairing uses optimized composite shell technology. 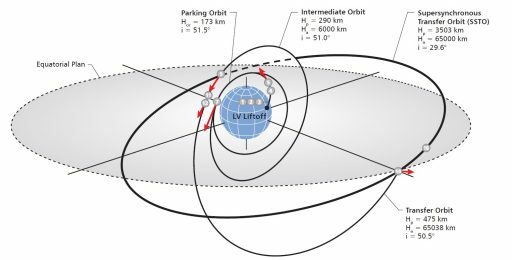 All in all, the Phase IV modifications improve Proton’s Geostationary Transfer Orbit Capability (1500m/s) by 150 Kilograms over the Phase III version. Standing 58 meters tall atop its launch pad, Proton headed into a long countdown of 11.5 hours,coming back from a one-day launch delay caused by a faulty electrical connector on the vehicle that needed replacement. Countdown ops began with the activation of Briz-M for final checkouts and flight software load. 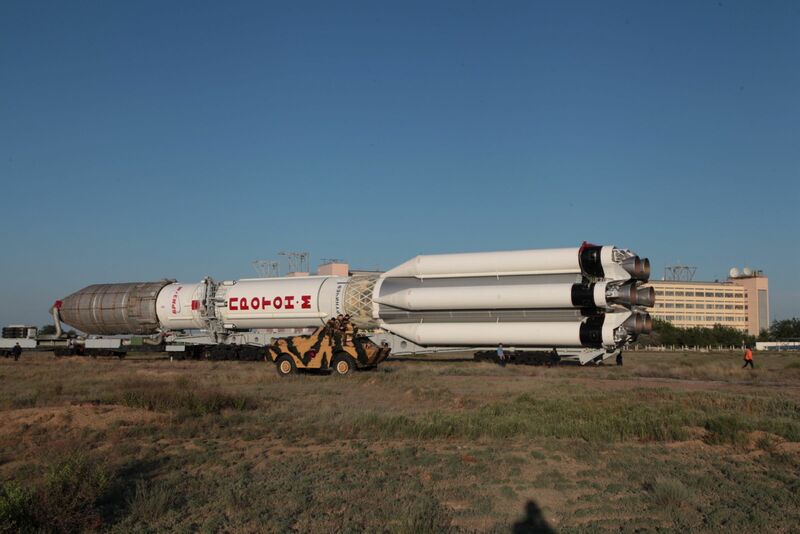 Proton was activated around seven hours prior to liftoff and the Russian State Commission convened for a final pre-launch meeting, looking at the status of launch preparation. With an all-clear given by the State Commission, teams at the launch complex headed into a three-hour fueling sequence at T-6 hours, loading the three stages of the rocket with 622 metric tons of toxic Unsymmetrical Dimethylhydrazine and Nitrogen Tetroxide. Briz-M received its dose of hypergolics ahead of the rocket’s rollout to the launch pad. After fueling was complete, the launch pad was re-opened for the finishing touches on the Proton launcher and ground facilities as the rocket was revealed on its pad one hour before T-0 when the large Service Structure was moved to its launch position. Intelsat 31 finished its final steps well ahead of T-0, switching to internal power to permit Proton to enter its Automated Countdown Sequence at T-5 minutes. As part of its final pre-launch steps, Proton and Briz-M switched to internal power, pressurized its tanks and assumed control from ground-based computers. Proton started breathing fire at T-2.5 seconds when its six RD-275M engines were commanded to ignite, ramping up to a total thrust of over 1,000 metric-ton-force. Liftoff occurred at 7:10:00 UTC when thrust on the engines overcame the weight of the Proton rocket as no hold-down system is employed by the vehicle. 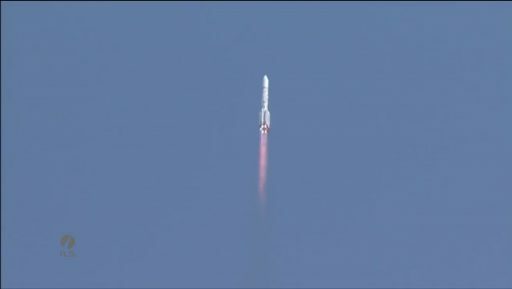 Rising from its launch pad, Proton-M completed a vertical climb of just over ten seconds before executing a roll and pitch maneuver to align itself with a 61.3-degree launch azimuth – departing Baikonur on a north-easterly path towards the Kazakh-Russian border. 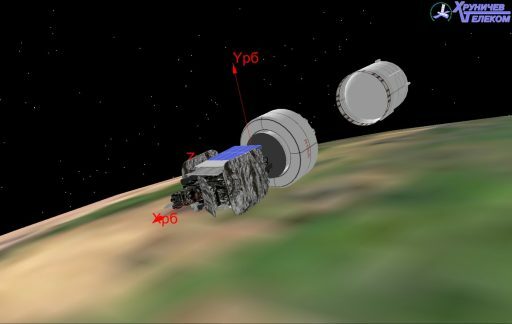 Burning 3,600 Kilograms of propellants each second of flight, Proton quickly passed the speed of sound and encountered Maximum Dynamic Pressure as it passed the one-minute mark. 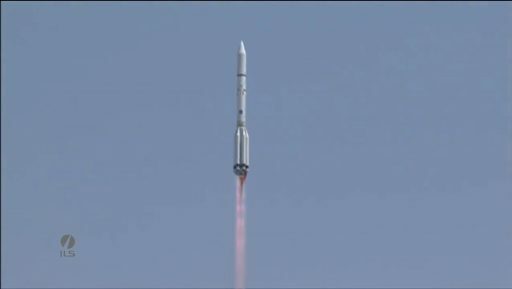 By T+1 minute and 42 seconds, Proton only weighed half of what it did at liftoff, having burned the majority of the 419 metric tons of propellants held by its first stage at launch. The first stage exhausted its propellant supply one minute and 59 seconds into the flight when the hot-staging sequence kicked off with the ignition command to the four second stage engines. Ignition of the engines preceded the firing of separation pyros by fractions of a second so that the exhaust from the second stage could push the spent 21.2-meter first stage away, on a path to a crash landing 310 Kilometers from Baikonur. With its three RD-0210 engines and single RD-0211 up and running, the second stage delivered a total thrust of 244,600 Kilogram-force for a burn of three minutes and 28 seconds. Throughout the burn of the second stage, real-time calls from the Launch Team continued to indicate stable parameters of the propulsion system and Proton heading downrange on a nominal trajectory. Burning through 156,100 Kilograms of propellant, the second stage was also set for a departure in a hot-staging mode. The RD-0214 four-chamber vernier of the third stage started up at T+5:24 followed three seconds later by cutoff on the second stage and stage separation. Stage 3 pulled away under the power of its 31kN vernier engine before the large RD-0213 main engine ignited five and a half minutes into the flight, bringing the total thrust of the third stage to nearly 63,000 Kilogram-force. Proton’s 14.5-meter long second stage was looking forward to re-entry and impact 1,990 Kilometers from the launch pad. Twenty seconds after the third stage assumed control of the flight, Proton jettisoned its two payload fairing halves. At over 100 Kilometers in altitude, aerodynamic forces could no longer harm the Intelsat 31 satellite, allowing Proton to shed no-longer-needed weight. Main engine shutdown on the third stage occurred nine minutes and 31 seconds after liftoff while the vernier fired for another 10 seconds to finish Proton’s job of inserting the orbital unit into a sub-orbital trajectory. Nine minutes and 42 seconds after liftoff, the Briz-M stage was separated and assumed control of the mission – tasked with a five-burn to SSTO flight profile. Briz-M stabilized its orientation and passively coasted uphill for one and a half minutes before igniting its 2,000 Kilogram-force S5.98 engine, preceded by the usual propellant settling maneuver to ensure the engine would not ingest any gas bubbles. The first burn of the Briz-M upper stage was expected to be 4 minutes and 16 seconds in duration to lift the stack into a circular Parking Orbit 173 Kilometers in altitude. 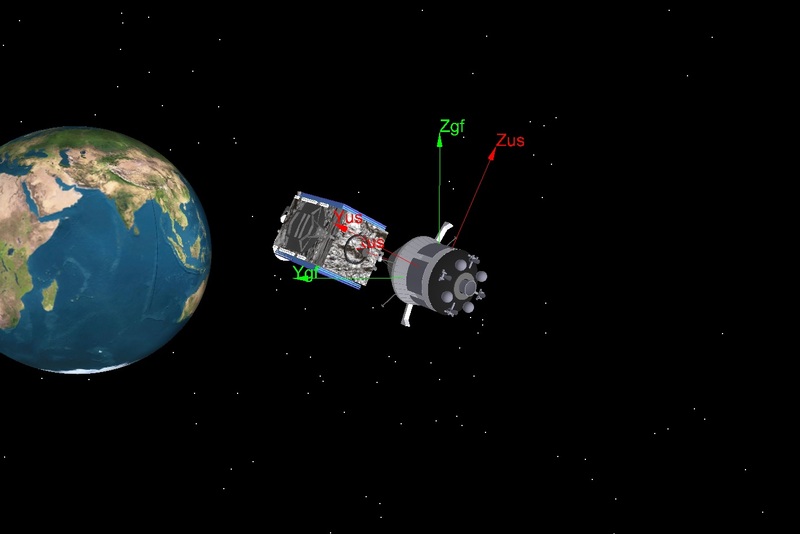 Briz-M automatically corrected insertion errors by Proton and successfully concluded its first burn, marking the first step in a very long journey. After its first burn, Briz-M was set for a coast phase of 95 minutes to swing once around the planet so that the second burn could occur on the descending node of the orbit. The second burn stretches from a position over the southern tip of Japan over the Pacific to a spot north-west of New Zealand, lasting 19 minutes and 47 seconds to lift the stack into a transfer orbit of 290 by 6,000 Kilometers. 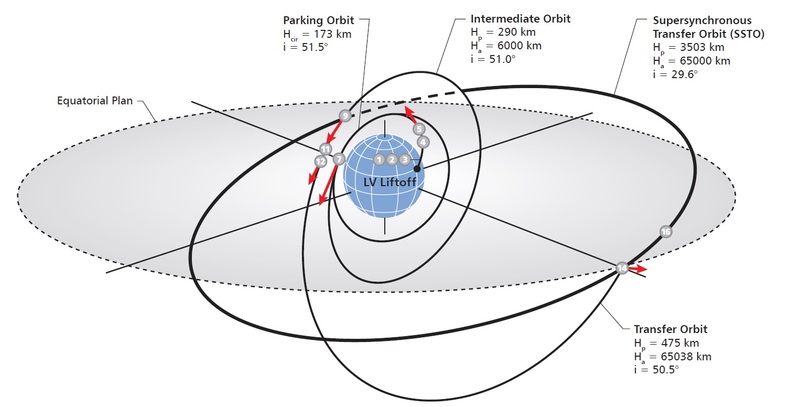 Burns 3 and 4 are also dedicated to raising the high-point of the orbit and occur on the next descending node after another orbit of coasting. The third burn is expected to start four hours and 23 minutes into the mission and last close to nine minutes to be followed by the separation of the Auxiliary Propellant Tank that held 14,600kg of hypergolics, leaving Briz-M with 5,200kg of prop in its main tanks. The fourth burn, just over nine minutes in duration, will lift the stack into a highly elliptical orbit of 475 by 65,038 Kilometers, inclined 50.5 degrees. Having entered its Transfer Orbit, Briz-M will settle down for an extremely long coast phase of ten and a half hours to climb all the way up to the high point of the orbit. 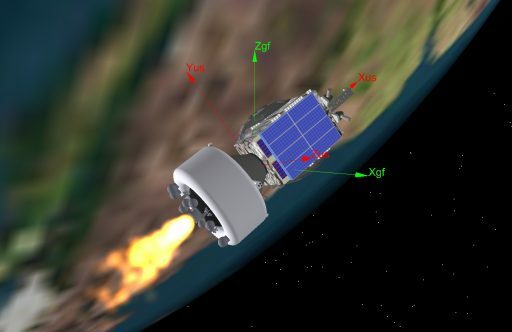 The fifth main engine burn is only planned to be 184 seconds in duration, but serves an important function as it raises the perigee to 3,500 Kilometers and achieves a major plane change, reducing the orbital inclination to 29.6° – allowing the satellite to reach its final destination in Geostationary Orbit at minimal propellant expense. 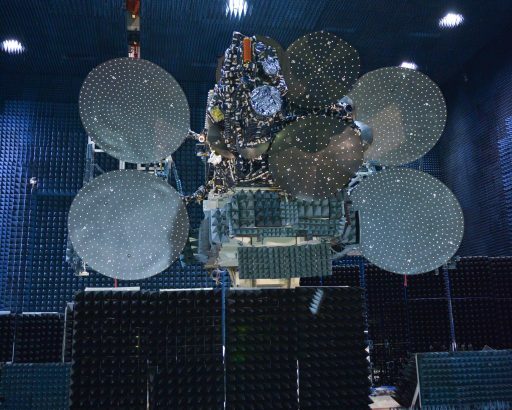 Separation of Intelsat 31 is set for T+15 hour and 31 minutes – 65,000 Kilometers over north-west Indonesia – to mark the start of a 15-year mission, delivering TV services to Latin America. Briz-M will be tasked with a pair of disposal maneuvers ahead of venting its tanks and switching off systems.